Professor Dove specializes in public history, early Canadian history, and the business and social history of the global maritime world in the Early Modern Period (c.1500-1800). He is especially interested in the operation of commercial trading companies including the Hudson’s Bay Company, as well as the growth and decline of piracy during the seventeenth and eighteenth centuries. Professor Dyczok specializes in international politics and history, with a focus on East Central Europe and Eurasia, and specifically Ukraine. Her research interests are on the politics of history, mass media, migration, post-communism and World War II. Professor James Flath’s current research interests concentrate on modern Chinese cultural history. His first book The Cult of Happiness looked at the world of the North China village through the medium of folk print (nianhua). Prof. Flath's latest project, Traces of the Sage, indulges his ongoing interest in Chinese historical commemoration and heritage conservation. Please see his research and publication page for more information. Professor Fleming is a specialist in Canadian and North American business history, with specific teaching interests in Canadian political history, the history of Ontario, Canada-U.S. relations, and the history of business entrepreneurship. His current research projects include a history of civil disobedience in Canada, and a history of Ontario spanning the 19th century to the early 21st century. Professor Halpern specializes in nineteenth and twentieth-century Canadian and American Women's History and Jewish History. Professor Hamilton is a Public Historian whose research focuses on historical and contemporary issues surrounding museums and heritage, social memory and commemoration, cultural identity and issues of representation, usually in regards to Aboriginal peoples in Canada. Professor Hernández-Sáenz is a social historian who specializes in Mexico's medical profession and institutions during the eighteenth and nineteenth centuries. She is presently working on the influence of French medicine in the organization of health care and sanitation in Mexico. Professor Krats studies the "resource frontier" of provinces, especially Ontario; immigration, notably Finnish, is another interest. He is working on a comparison of "northern resource development" in Michigan's Keweenaw Peninsula and the Sudbury region of Northeastern Ontario. Professor MacDougall studies the history of the late 19th and 20th century United States with a special focus on the cultural and political history of information, communication, science, and technology. Office Hours: Wednesdays 12:30-2:30pm or by appointment. Professor MacEachern is an environmental historian of Canada. Professor May is a specialist in 18th and 19th century Britain. Professor May is on sabbatical in the 2018/2019 year. Professor McGlynn's current research interests all deal with the relationship between the Church and the law in late medieval and early Tudor England. Professor McKellar studies the history of medicine and disease, with a special interest in the history of medical technology, instruments and devices, the history of surgery, and medical biography. She is also the curator of the Western Medical Artifact Collection. 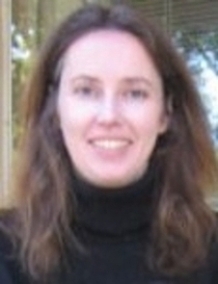 Professor McKenna is a specialist in 18th and early 19th century history of women and gender in the North Atlantic. She also researches in the area of violence against women and children and is developing new work on East African colonial women's and gender history. Tuesdays 1:00pm-3:00pm or by appointment. Professor McKenzie is an international historian who works on the history of international organizations, global trade, and the British Commonwealth – especially on Canada, Australia, New Zealand and South Africa. Office Hours: Wednesdays 1:30-3:30pm and by appointment. Professor Nathans has published a history of German citizenship policies and an examination of the conduct of a leading official of the Nazi administration of justice. In 2017 Palgrave Macmillan published his analysis of the life and work of a prominent West German radio and television journalist, Peter von Zahn's Cold War Broadcasts to West Germany. Assessing America. The study focuses on postwar West German debates about the weaknesses and strengths, possibilities and deficiencies, of republican forms of state and society and, in particular, of the United States. Although Peter von Zahn's American broadcasts date to the 1950s, the subjects on which he focused, the questions he posed, and the insights his work contains, remain relevant to the challenges that continue to face the United States and parliamentary regimes around the world. Professor Priestman's research interests include Modern Europe, Nazism, Jewish Studies, and North America. Professor Rhoden is a specialist in colonial British America and the American Revolution, with particular interests in religious and social history. Professor Schumacher specializes in international and transnational history with a focus on the role of the United States in world affairs, the history of empires and colonialism, and the global history of genocide and mass violence. Office Hours: Fall term: Wednesdays and Thursdays 1:30-2:30pm (and by appointment). Winter term: Tuesdays 1:00-2:30pm (and by appointment). Professor Maya Shatzmiller is a specialist in the social and economic history of the medieval Islamic world and author of several books on the subject, among them 'Labour in the Medieval Islamic World' and 'Women's property Rights in 15th century Granada'. Her project of writing the economic history of medieval Islamic societies in several volumes is under way with the current volume devoted to the monetary history. Professor Shire is a social and cultural historian whose research focuses on the United States in the nineteenth century, especially the relationship between race, gender, and U.S. expansion. Her research connects scholarship on North American borderlands, Western and Southern U.S. history, the Atlantic world, Native and African American studies, and women’s history. I am international historian whose research focuses on the United States in the World, situating America’s global engagement at the intersection of decolonization and the Cold War. Professor Turkel research interests include computational history, Big History, STS, physical computing, desktop fabrication and electronics. Professor Vacante is a Canadian historian who specializes in the intellectual, political, and gender history of Quebec. His work examines Quebec nationalism in the twentieth century. Professor Vance teaches military history, Canadian history, and social memory. His current research focuses on the First World War, Canadian culture, and prisoners of war. He also curates the Wartime Canada collection. Professor Wardhaugh is a historian of twentieth-century Canada. His areas include political history and the history of the Prairie West. Professor Young's research interests focus on religious social movements, nationalism, and imperialism in modern Asia, centering especially on Korea and Japan. He also has a strong interest in comparative world history and cross-cultural interaction between different world regions, focusing on Asia as a case study. Professor Compeau researches the cultural history of colonial North America and the Atlantic World with a special interest in honour culture and loyalism in the American Revolution. He also explores the application of augmented reality technology for public history. Professor Souchen researches the history of warfare and its impact on society and the environment. More specifically, he studies the World Wars, munitions disposal, and the material culture of modern war. His research also explores postwar consumerism and the history of pollution and waste in the twentieth century. You can follow him on Twitter. Professor Takagaki's research interests include East Asian Studies and Japanese Studies. Professor Ariel Beaujot is a public historian who focuses on the stories of everyday life. She is currently writing a book, Comfortable Lies, Uncomfortable Truths: Public History, Private Memory and Race in 21st Century North America. The overall purpose of the work is to reveal the unspoken and underlying issues in our culture and to use history as a way of challenging the exclusive narratives of the past. In 2018-19 Beaujot is a Visiting Scholar at Western University on sabbatical from her position at the University of Wisconsin La Crosse. She has no teaching this year. Her teaching areas include: Public History, Material Culture, World History, European History, British History, and Empire/Colonialism. Professor Berest is an intellectual historian specializing in modern Russian thought and political culture. Her research focuses on the history of Russian liberal tradition and the impact of Western European ideas on the development of Russian thought in the 19th century. Her monograph, The Emergence of Russian Liberalism: Alexander Kunitsyn in Context, 1783-1840 (Palgrave Macmillan, 2011) examined the intellectual legacy of the pioneer of Russian liberalism, whose writings transmitted Kantian philosophy of personal autonomy to the Russian audience. 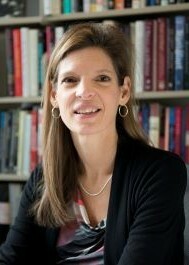 In her current project, Professor Berest analyzes the reception of the British philosopher and economist John Stuart Mill in Imperial Russia. She has published several articles analyzing the Russian responses to Mill’s diverse writings, including his iconic works on women’s rights and individual liberty. Professor Christie is a cultural historian with a primary interest in the history of gender, the state, the history of consumption, the history of political thought, and the history of the British empire\transatlantic world. Professor Devine's research and teaching interests focus on the social, cultural and military history of the United States, particularly the Civil War era, with a special interest in medicine and science during and after the war. Her first book, Learning from the Wounded: The Civil War and the Rise of American Medical Science. (The University of North Carolina Press, 2014), examines the work of doctors who served in the Union Medical Department, and explores how their innovations in the midst of crisis transformed northern medical education and gave rise to the healing power of modern health science. Professor Devine's next research project tentatively entitled Science and the Practice of Medicine in the Civil War South and Reconstruction examines medical practice in the Civil War south, which will be published as a companion volume to her work on medical practice in the north. She is also working on two commissioned works from the United States Army Medical Department in conjunction with the Uniformed Services University of the Health Sciences, which examine the larger impact of war on American medicine. Dr. Henshaw studies British imperial and Commonwealth history, with a particular focus on 20th century southern Africa and Canada. His current interest is in John Buchan and identity formation in the “British world”, including the origins of multiculturalism. He has also worked on the military and bureaucratic politics of Anglo-Canadian decisions leading to the launch the Dieppe raid in 1942. Dr. Henshaw works as an analyst of African affairs in the Privy Council Office in Ottawa. My research interests encompass twentieth-century warfare, military transportation and procurement, and more generally, the material culture of modern conflict. Professor Murison’s research interests include English and Scottish history in the early modern period, the history of the first British Empire and the Scottish diaspora in all its aspects. She is currently investigating the Scottish Enlightenment’s views on women: were ‘Ancient or Modern Manners’ to be preferred?. Professor Tovey is a public historian and cognitive scientist whose research focuses on neighbourhood history and architectural heritage, applications of the internet to public history, geo-locative technologies, 3D modelling of historical buildings and artifacts, theatre history and theatrical re-enactment, historical and contemporary issues surrounding museums and heritage, and the intersections between public history and public astronomy.